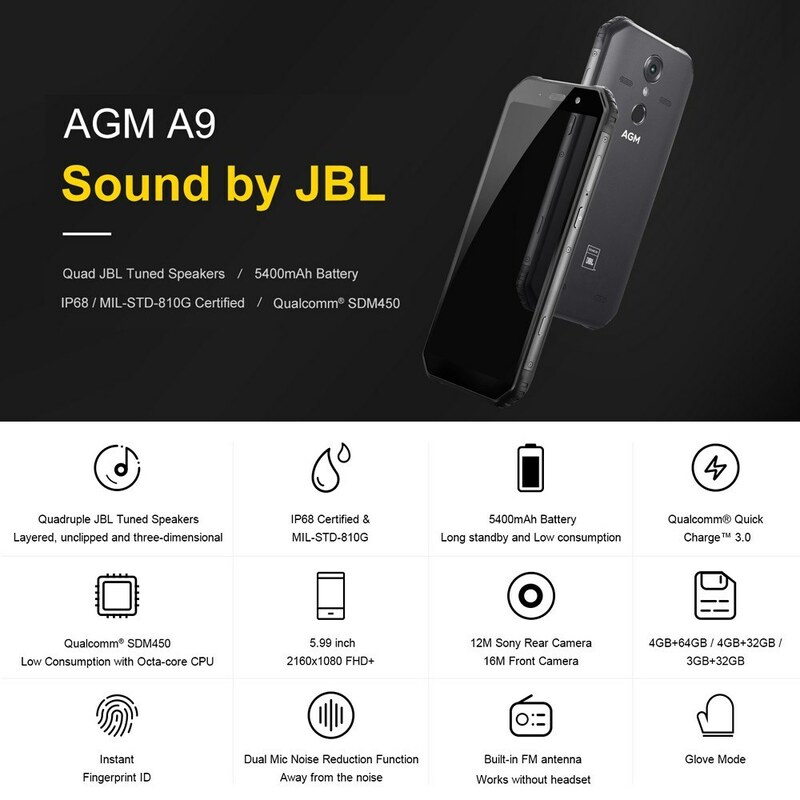 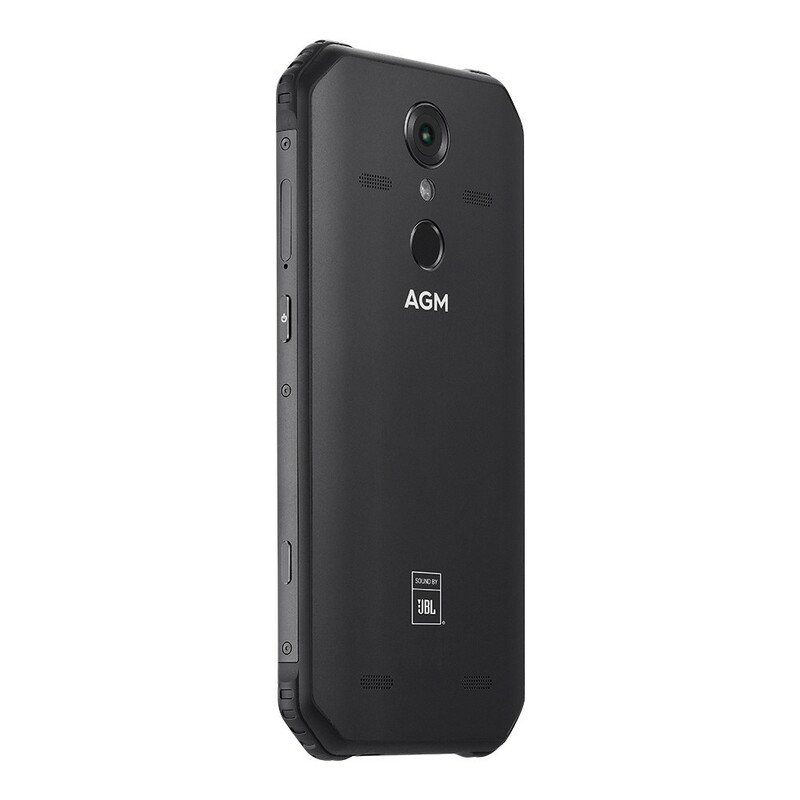 The AGM A9 is popular for its unique body and features, bump-proof along with dust resistant and water-proof in case you drop the phone, and four speakers tuned with JBL as it offers great sound quality. 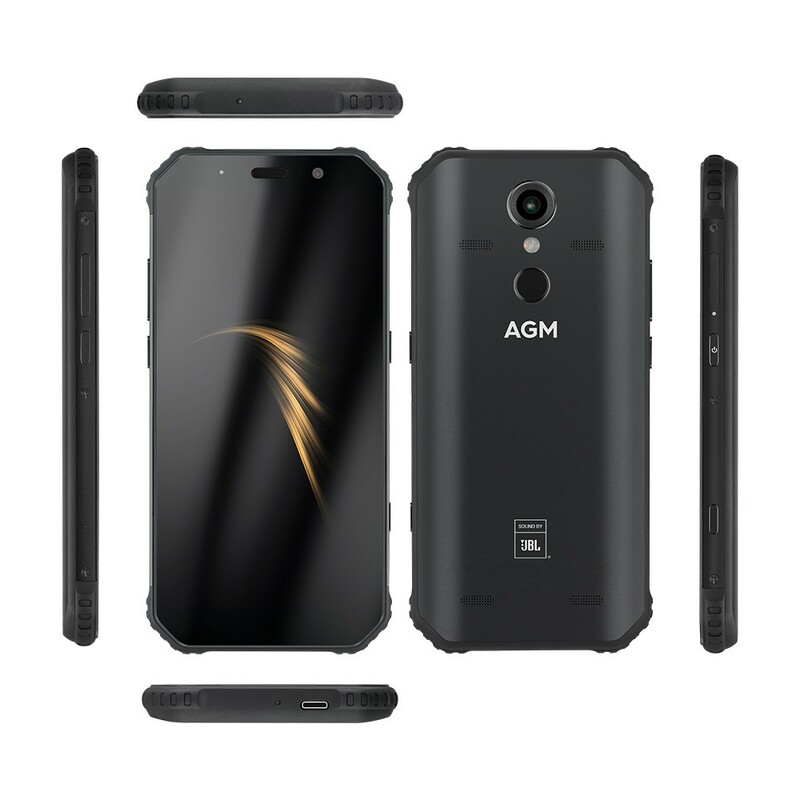 The hardware of the AGM A9 accompanies a Snapdragon 450, 3GB or 4GB of RAM that accompanies 32GB or 64GB of capacity. The screen size measures at 5.99 inches and has a Full HD+ resolution implying that the AGM brand dropped the 18:9 ratio. 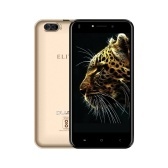 With 12.0MP rear camera and 16.0MP on the front side of the phone, the battery life is amazing, 5400mAh Li-Polymer Non-removable with fast charging feature. 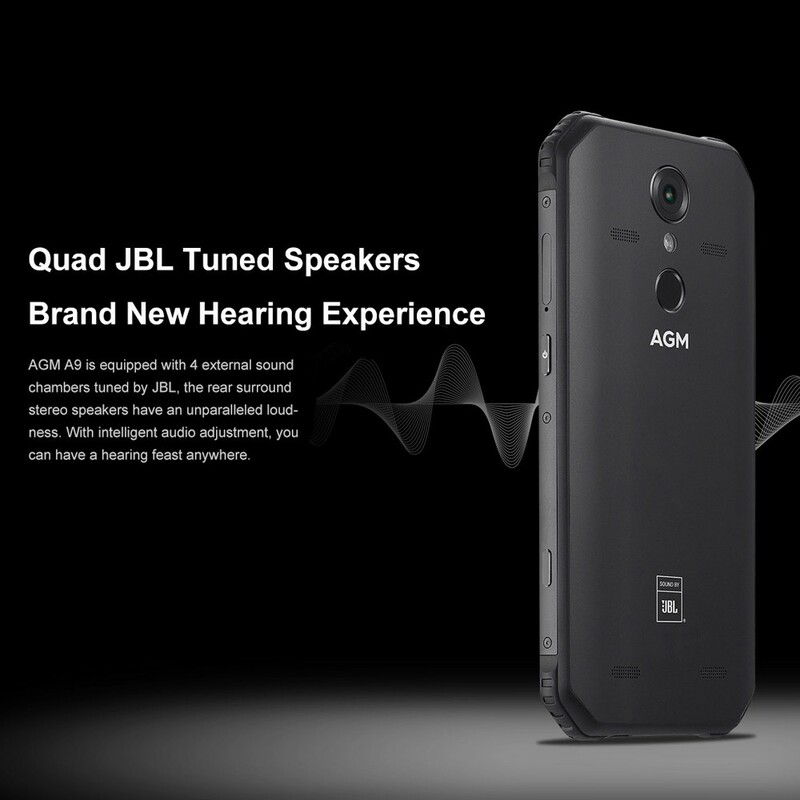 4 external sound chambers tunned by JBL, rear sound stereo speakers have an unparalleled loundness, a hearing feast anywhere. 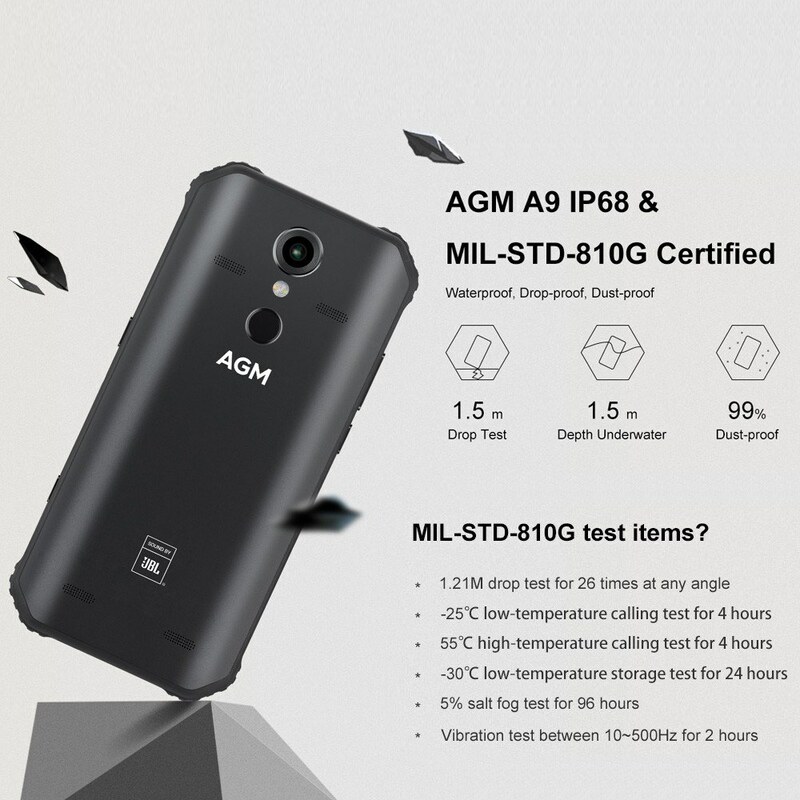 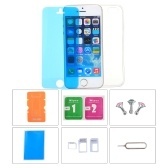 Adopts the highest IP68 waterproof standard; keeps phone body from dust and dirt; protects your phone from shock. 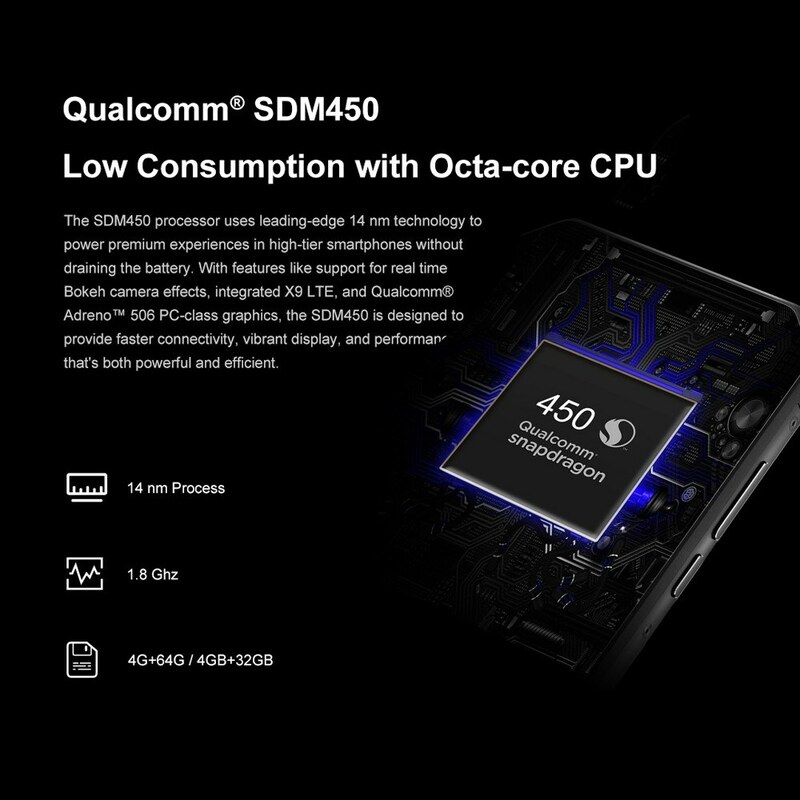 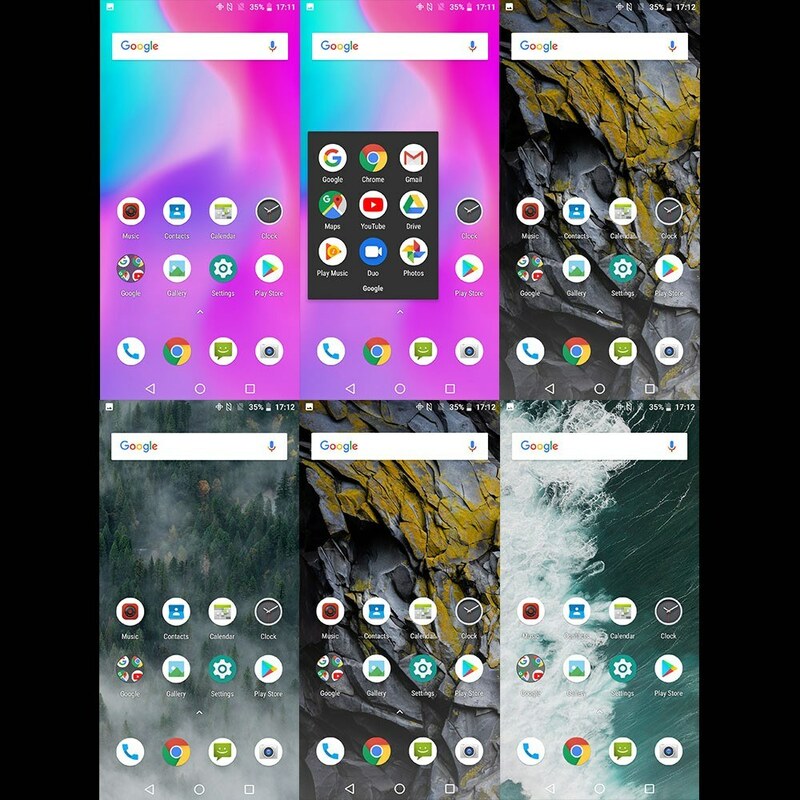 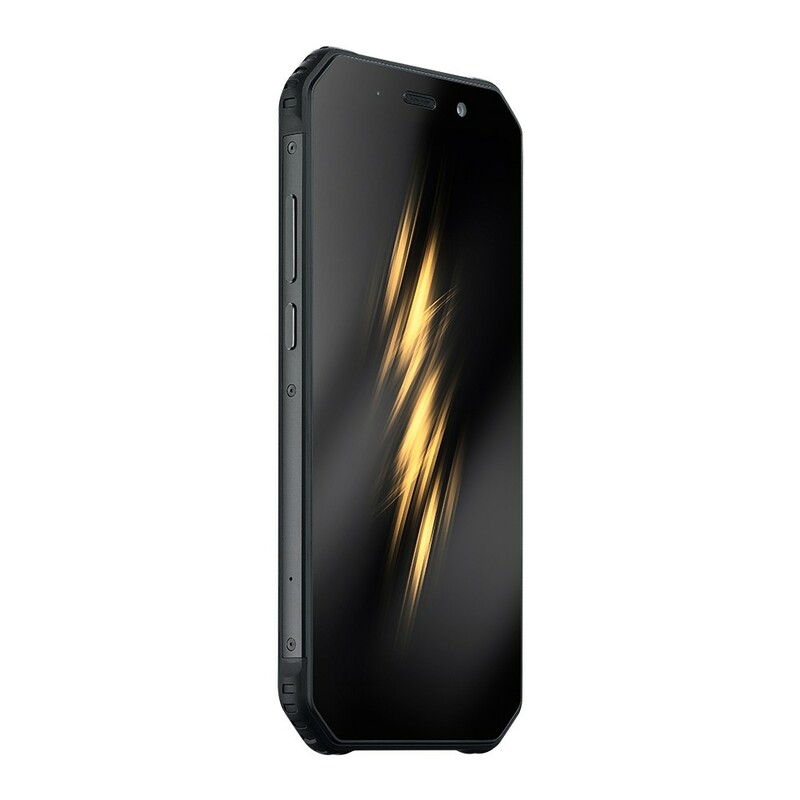 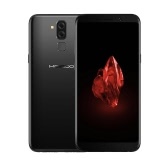 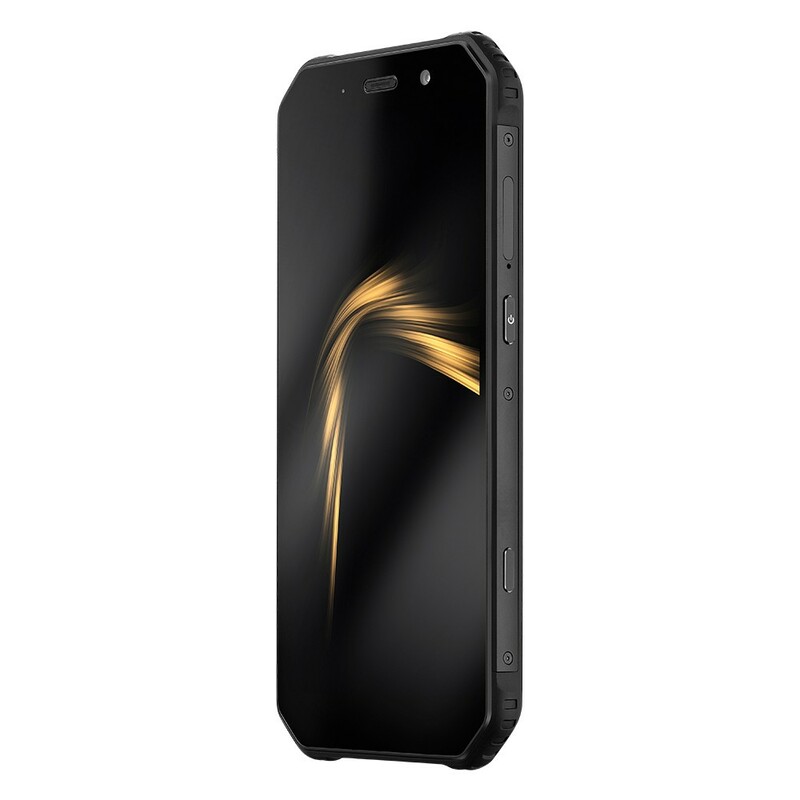 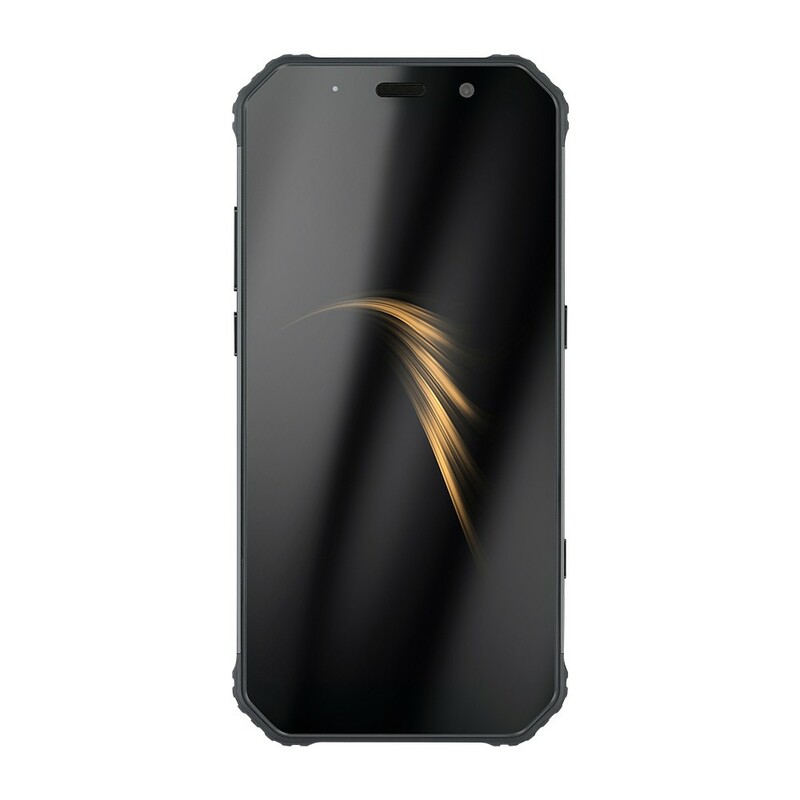 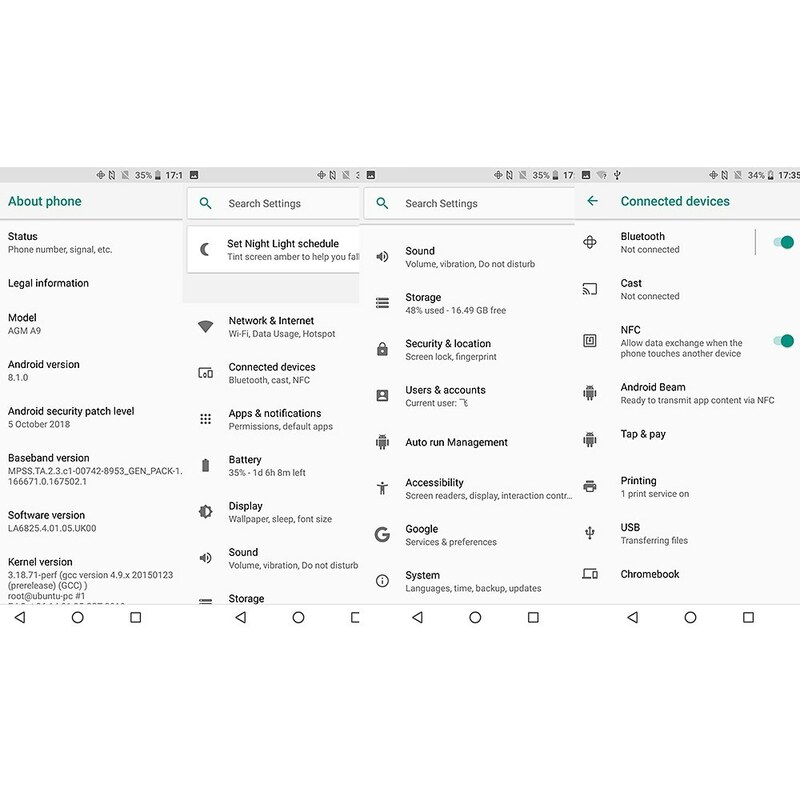 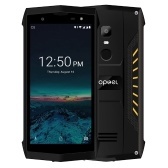 The powerful processor uses leading-edge 14nm technology, combined with 3GB or 4GB of RAM that accompanies 32GB or 64GB of capacity and Android 8.1 OS, is designed to provide faster connectivity and vibrant display. 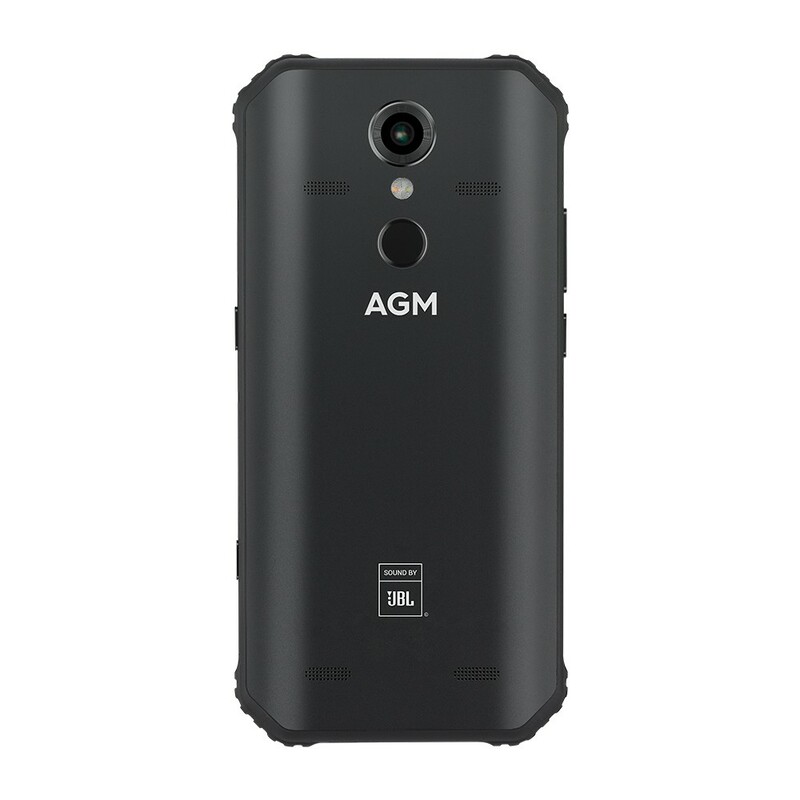 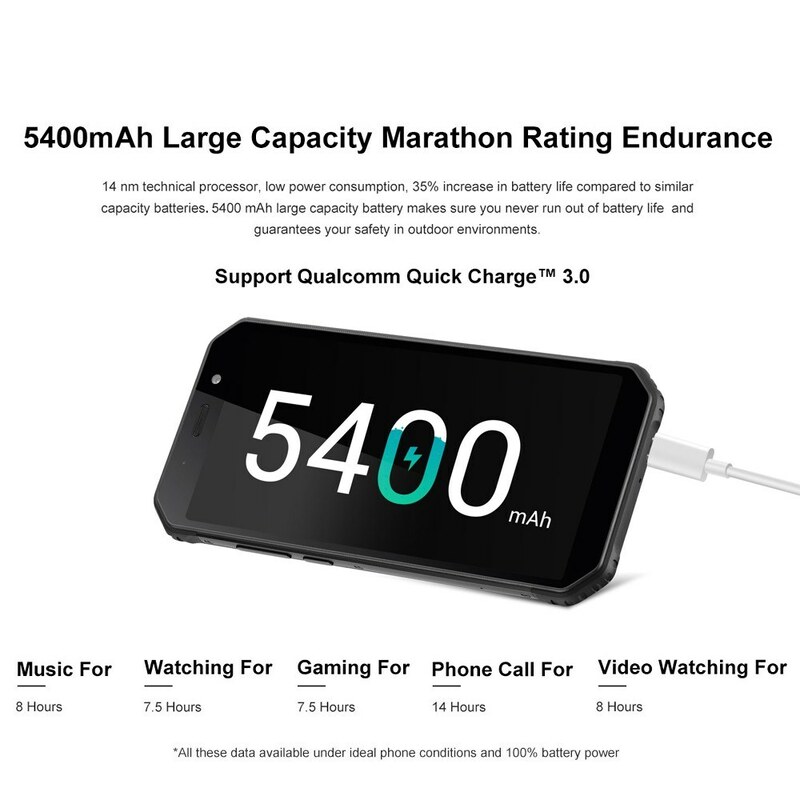 5400mAh battery capacity combined with 14nm technical processor and low power consumption, guarantees your safety in outdoor environments. 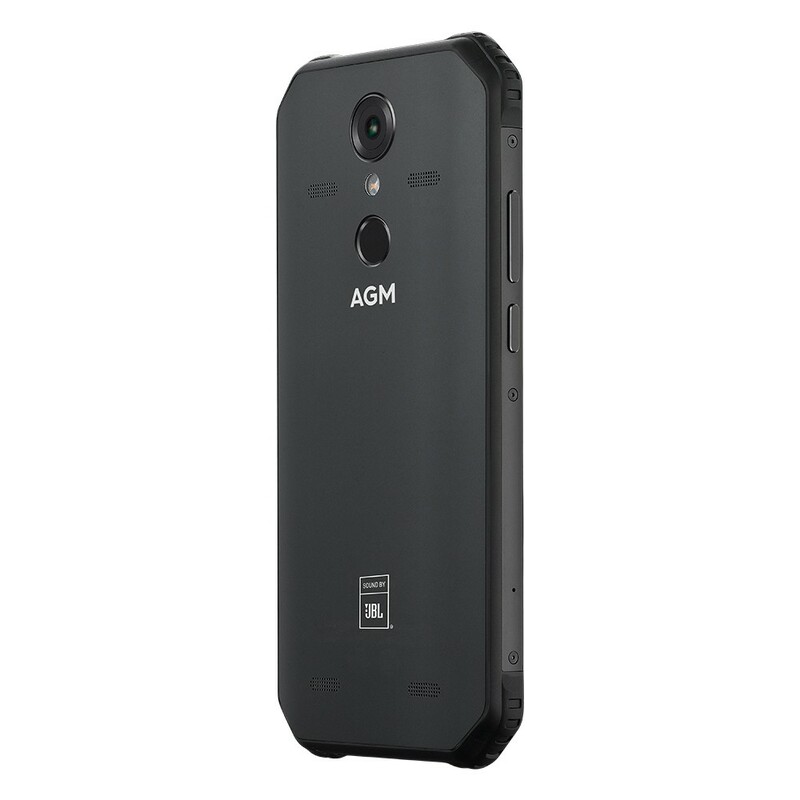 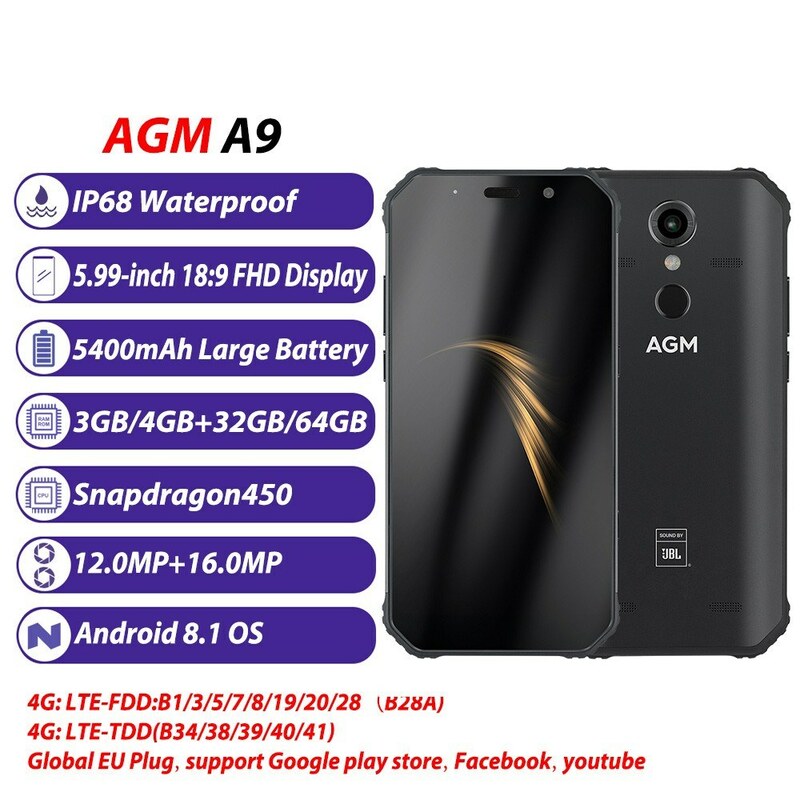 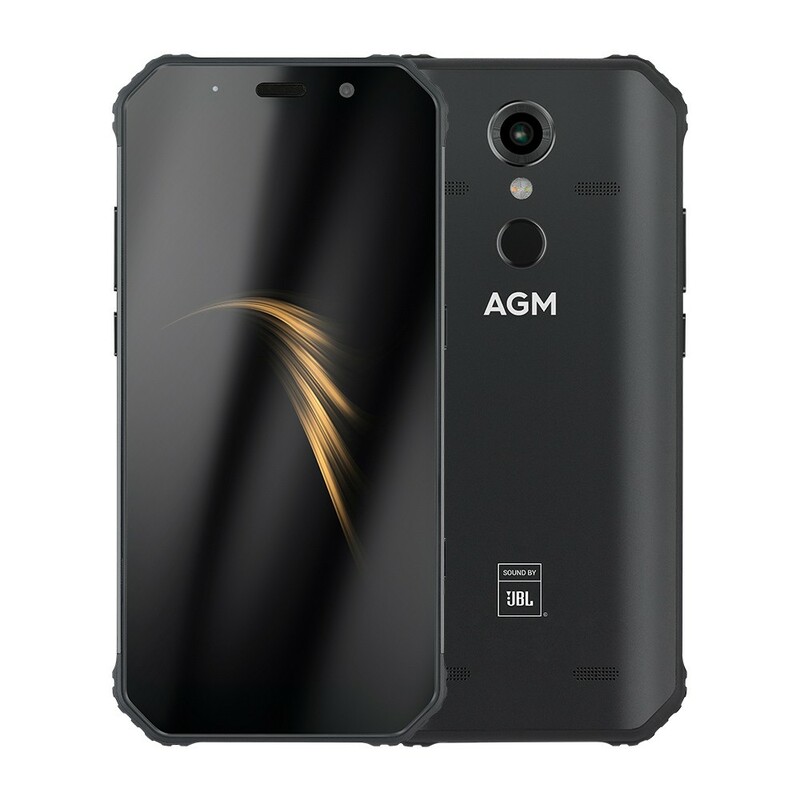 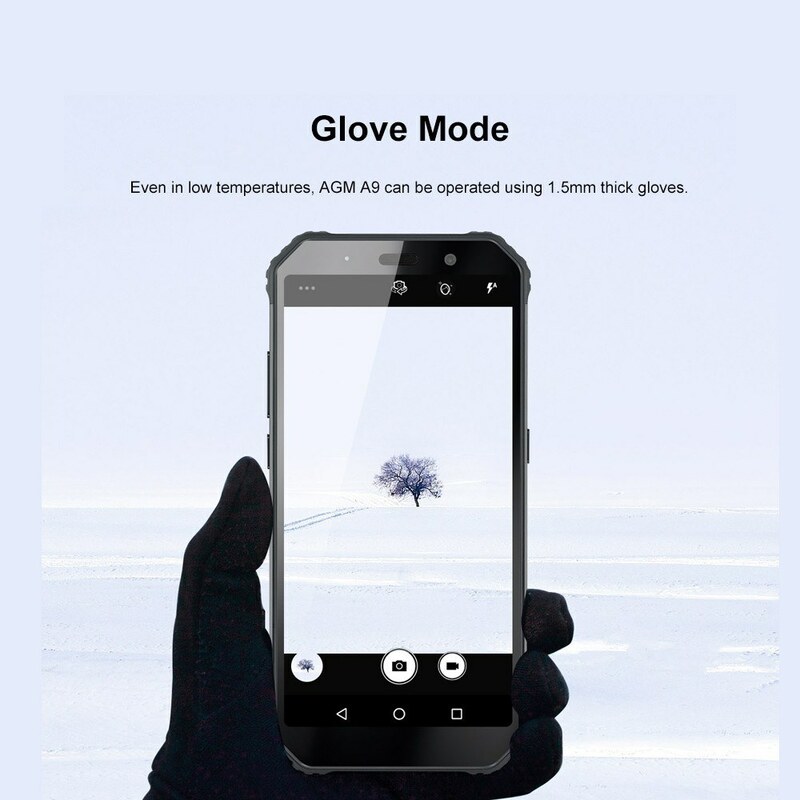 AGM A9 features 5.99-inch touch screen, easily to hold or play with it with only one hand if you like. 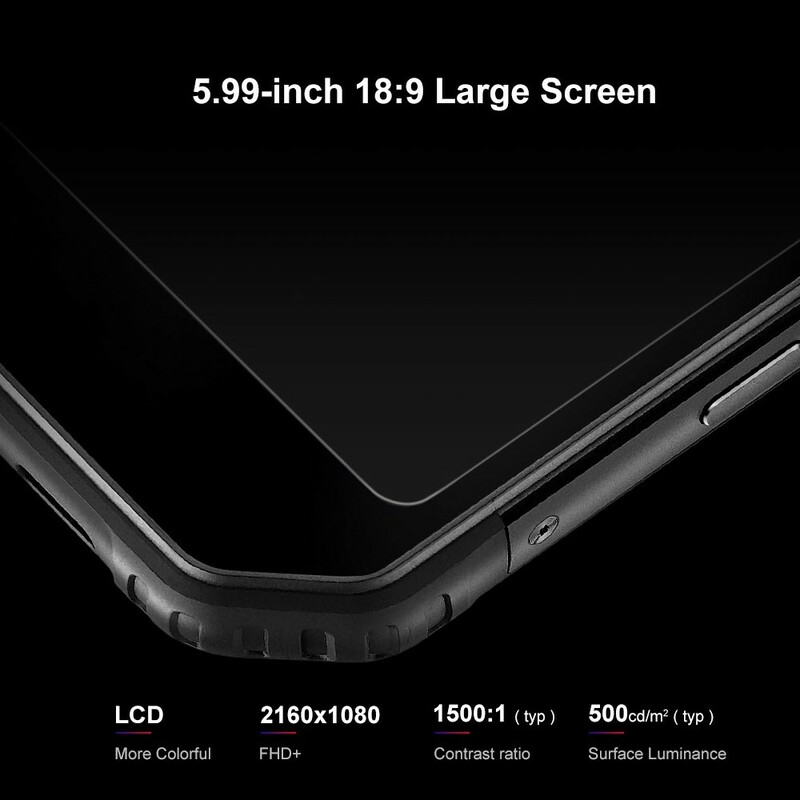 High definition screen delivers high color saturation to maintain vivid, sharp and vibrant images. 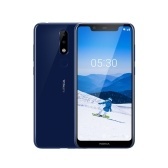 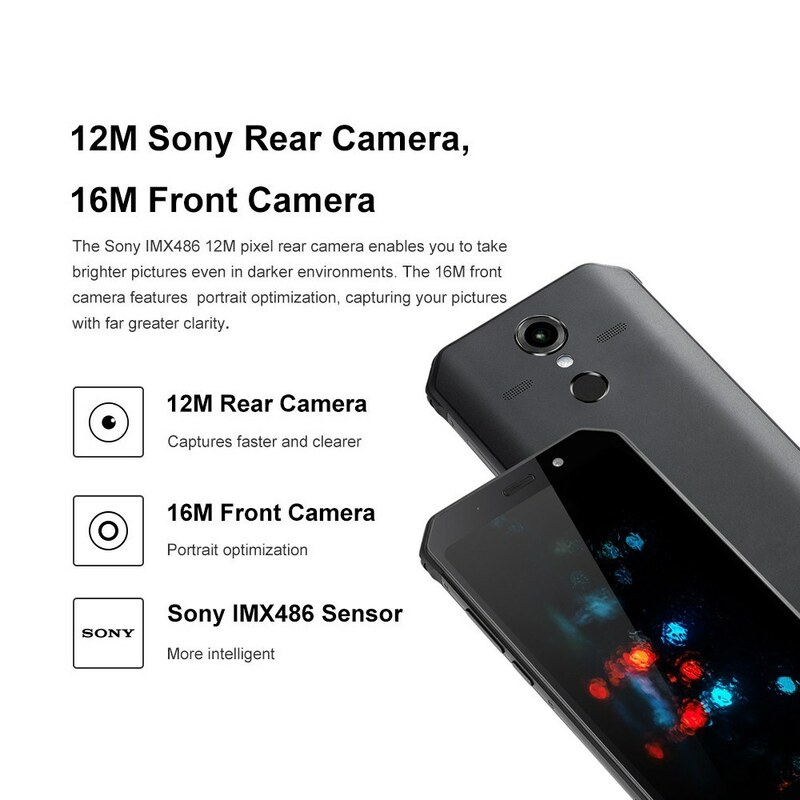 Catches Every Beautiful Moment--Equipped with superb 12.0MP Rear and 16.0MP Front Camera, more lights can be effectively absorbed to shoot bright and sharp photos and videos, making it more natural and colorful.